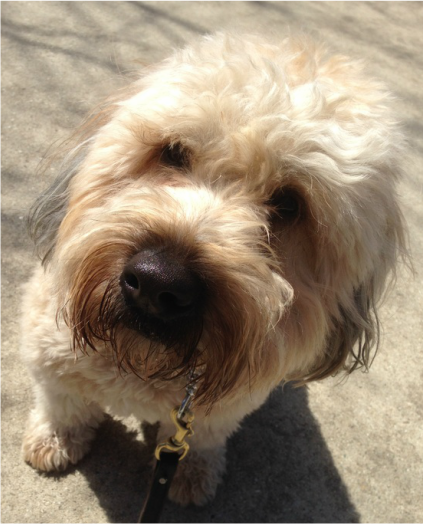 Charlie is a 4yr old male, neutered Wheaten Terrier who had lived in a home until last Summer. While he enjoyed the comfort and company of a full house of adults and children, his heightened stress levels led him into the habit of being territorial in his home environment. Unfortunately he did have several bite incidents and was going to be destroyed by his family. Yet, faith and fate prevailed and his life was saved by others who saw his goodness! Charlie loves people and is excited to meet anyone new in a casual scenario. He is a great client at the groomer’s, has extensive training skills, likes many dogs and loves to go for walks, car rides and play in large dog groups. Charlie needs a new and, this time, a furever home. He needs someone who will follow through with his training and continue to work with him on his insecurities. We require a single, adult- only adopter for Charlie and who has a quiet lifestyle and no other pets. A local home would be best so follow ups can be done and continued training, if necessary. LIKES!- going for walks, eating:), his morning and bedtime cookie treat!